Can’t get enough of the past? Well, you’ve come to the right place. The legendary Salsoul label earned that accolade for one reason only and that was the music they released back in the 70’s and subsequent 1980’s, closing by 84 of that decade. Soaring songs, sonically reverberating instrumentation and production prowess that helped set the tone for tone for what came next. One glance over the tracklist and you can feel all that history breathing including timeless standards such as Double Exposure – My Love Is Free, which appears here with the Frankie Knuckles remix, plus the Shep Pettibone version of Inner Life – I Like It Like That. Other perhaps less well known tracks also compliment such as Larry Levan’s remix of Sparkle – Handsome Man and The Salsoul Orchestra’s – Sun After Rain with Tom Moulton’s glorious 12″ Mix. 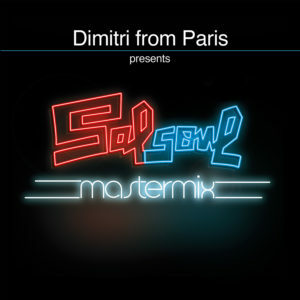 The second CD is all down to Dimitri who adds his flair to the affair care off a series of re-edits of additional releases that include the likes of fimiliar gems Love Sensation, Ten Percent, and Just As Long As I Got You. Respectfully yours. Be interesting to see how many people will be playing the Frankie Knuckles & Eric Kupper Remix of Holly Johnson ‘Follow Your Heart’ (in light of all the recent name checking R.I.P from people who find his style an irrelevance). It’s not ‘Deep’ or ‘Techno’ just full of their timeless trademark sounds which have echoed across the decades by this duo. From Kupper’s elegant keys to Knuckles soaring soulfulness this may well be the final remix to appear under his name. As you can hear below not a lot has changed but, if it ain’t broke! And needless to say the Instrumental version is also flawless. But back to the actual artist, Holly Johnson who sounds as distinct as ever and it’s always a pleasure to hear him especially with this lush backing. You’ve got to love the nihilism of the title. Indeed, named after the Bristol/ London club night this is the promoter’s debut release which I have to say is seriously excellent. Another, thankfully, hard to classify track which blends darker, drum fuelled elements together with commanding stabs and blissfully twisted camp spoken vocals. Although, if you can’t take the heat then there is always the Dub version. Gorgeous summer sounds from Skylab that fit neatly in-between Disco and Balearic grooves. Set to a mid-tempo shuffle this meandering keyboard driven rhythm has sunshine written all over it complete with vocal touches and just the right amount of funk to dance to. Club Malibu, is more club orientated with faster beats competing against another 80’s styled sample. Pedro Mercado and Derek D then provide the remix which alters the mood making it all the more intriguing with a moodier arrangement of sounds and low-slung bassline. Seem to remember a quote along the lines of: You can’t move forwards for looking backwards – or at least words to that effect. But in music it seems you can only move forward by looking back. After all if it wasn’t for records like this then where would we be? 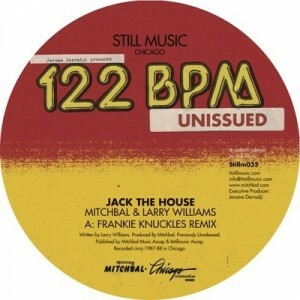 If you haven’t already checked out Still Music’s essential 122BPM: The Birth Of House Music compilation then you’re missing out, in which case this previously unreleased gem, also from the vaults of Mitchbal and Chicago Connection Records, may well move you in the right direction. Jack The House pretty much speaks for itself and ticks all the boxes either as the Original. or more especially, Frankie Knuckles more Club orientated Remix which combines all the classic sounds from the era with a knowing arrangement primed for the dancefloor. Having barely recovered from hearing Matt Tolfrey’s excellent debut album for Leftroom this now hits squarely aimed at the previous seasons memories – assuming they are hot ones of course. 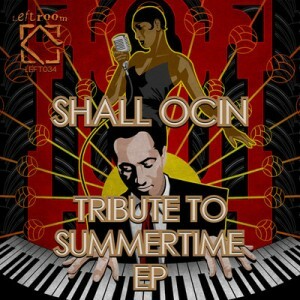 This is Nicolas Abalos aka Shall Ocin’s second release for the label and is based around George Gershwin’s 1935 classic ‘Summertime’ though of course sounds markedly different with electronic beats and the rest giving you reason enough to reply the timely refrain all over again. It also made ‘ESSENTIAL NEW TUNE’ on Jamie Jones & Seth Troxler’s standin for Pete Tong recently too. Having said that I much prefer Feel The Same with its delicious spacey vocals and sassy, syncopated rhythms feeling altogether contemporary and typical of the label. I Know, finishes with a love of ‘real’ instrumentation played in a slightly unnerving fashion, and feeling all the more inventive and effective for it. First release on Martijn’s brand new sister/ brother label to the excellent Deep Edition Records is this stunner from Marvin Zeyss. Although you’ll need to move at light speed to get your hands on one of these very limited ‘vinyl only’ pressings as they have been numbered to 100. Three numbers beginning with Hotsauce whose bass punctuated groove is little short of addictive. 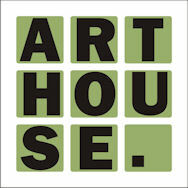 Power, follows with funkier percussion and deep tones rewarding your senses with a breath of perfectly pitched ambience. While, Downtown finishes with more invigorating sounds, although is also possibly third in line for your attention. 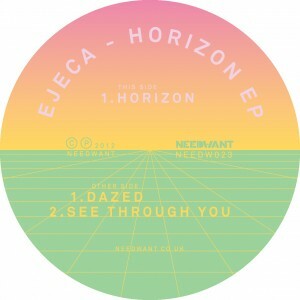 Having recently reviewed Ejeca’s release for Extended Play we now find Garry McCartney’s inescapable grooves on the notable Needwant imprint. You could say that its title track Horizon is about looking back, or you could say it’s where we’re heading, but either way its self-propelling energy is hard to resist. Driven by blazing 90’s stabs and rough-edged beats this is a combination that simply works. Dazed, feels easier with deeper, pulsating notes creating atmosphere as funky vocal edits complete the combination neatly. 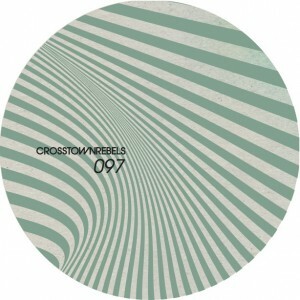 See Through You, ends with broken beats and an intensely soulful attitude that places Ejeca a step above the rest. 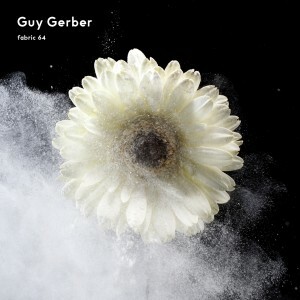 Sixteen new productions from Guy Gerber go make up this latest compilation in the fabric series totalling 64. And as you have come to expect from the producer this is another selection of exquisite resonating music that reaches way beyond your imagination. Always spirited, yet incisive and experimental, this effortlessly deep compilation of sounds are as invigorating first thing in the morning as there are very late at night. Weaving between haunting vocals and cinematic instrumentals this once again highlights Guy Gerber as one of the world’s finest in this field of electronic music. Every track stands out in its own right and it would almost be pointless in suggesting particular highlights, but here goes anyway: the completely infectious One Day In May loops heavenly ambience into dancefloor nirvana, while the opening Store-House Consciousness and The Golden Sun And The Silver Moon sound as blissful as the title suggests. 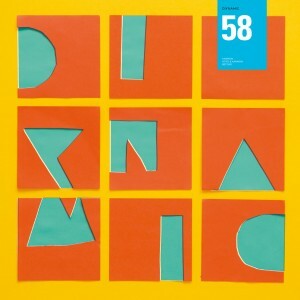 The music plays between dancefloor and horizontal listening with consummate ease, with number 64 proving yet another to be a winning formula. 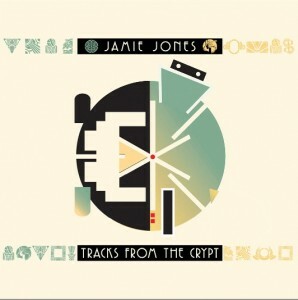 Jamie Jones second album for Crosstown Rebels sees two of the world’s most significant players combine forces again successfully, after the DJ’s string of awards plus the labels succession of killer releases. The collection features unreleased tracks – although heaven knows why – alongside new productions, and if you’ve witnessed Jamie play live then Somewhere, Paradise and Frequencies may already be well known to you. But waiting eagerly to get out there too is the equally fresh future-funk of Mari 2D Underground and the uneasy edge belonging to Tonight In Tokyo feat. Luca C. Also make sure you listen out for the sinister bass experience that is Over Each Other with Livia Giammaria’s vocal sounding tastefully bitter in the process too. 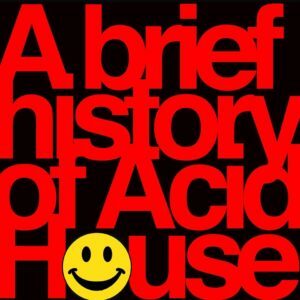 All the signature sounds are present, with those defining original House influences playing their part to reinforce what is undoubtedly another essential in the canon. The fifth release from the label sees Remi Mazet deliver breezy summer sounds to quench your thirst for all things funky. Playing with a hint of Gwen Guthrie in the air, the punchy bassline buzzes over introspective Rhodes chords and technological synths on the Original version to great effect. 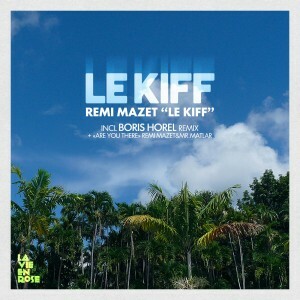 Boris Horel then provides the remix of Le Kiff with bouncy European bass and perky percussion, leaving second track Are you There feat. Mr.Matlar completing the picture with more easily accessible grooves backed up by intriguing voices and frisky snares. Good release. 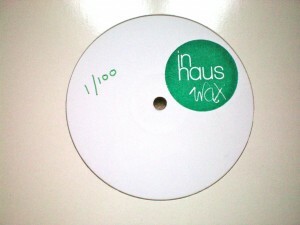 This three track EP marks the labels 58th and presents their trademark style perfectly. Opening with NTFO & Karmon ‘Nobody Else’ and its punchy melodic bassline, which plays against snare rushes and atmospheric touches, this neatly infuses together a thoughtful production with dancefloor sensibilities. The title track is then provided by Karmon who works moody bass over sharp percussion and classic early-eighties keys, and this again proves to be easy to fall for. Betoko’s, Raining Again provides a potential anthem for the North of England with shuffling synthetic rhythms and detuned vocals intoning the wet stuff. If you haven’t already checked Amirali’s beautifully crafted album for Crosstown Rebels then you’re missing out on an experience. In the meantime here is the chance to love the hauntingly atmospheric new single which also come s with some great remixes. Such as, Franck Roger who expertly builds the tension by adding fresh chords and drums to re imagine the vocal, while the MK version surpasses the remit with typically classy bass and beats feeling totally big-time. Appleblim’s aptly titled Black Mirrorball Mix then twists the elements over throbbing kicks into something altogether more space aged, making his statement loud and clear. 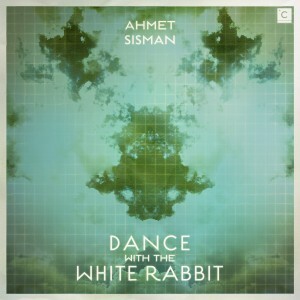 Love this production from Ahmet Sisman whose Dance With The White Rabbit feels all at once like a party in your head. 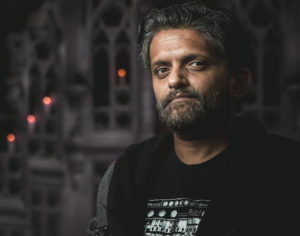 Impressive sound fx and dubbed vocal treatments give the track a very big feel indeed, but it’s also the combination of differing styles that give it all such a unique edge. Nico Lahs provides the remix with funkier bass and a deeper mood, while Audiofly cleverly break up the beats on their abstracted version. Meanwhile, Hello To Alice continues the Wonderland theme with more expressive voices and dark electronics to finish. This is the second release on Artform’s sister imprint, Arthouse and comes from Erase Records’ Dimos Stamatelos. The Original version sets a punchy tempo against cool Rhodes chords, a taught tech bassline and with hard hitting vocal snippets this is set to induce frantic head nodding. The effective Frogs and Socks remix then teases extra tension from its undulating synth and smart dancefloor arrangement, while label head Jamie Anderson’s Latin Hustle version introduces the chords to warmer possibilities with the intensely funky percussion giving it all a precise edge. 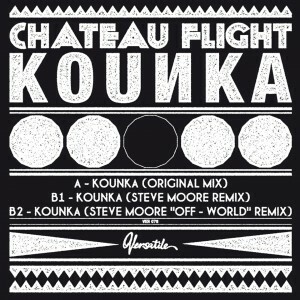 release: June 18 as a Beatport exclusive for 4 weeks. July 16 general release. If you like to think outside the box then this will most definitely tempt you. It’s distinctly impossible to categorise but then that is precisely its charm. Sometimes House-ish, sometimes Techno-esque, other times sounding like Pink Floyd through a Dance blender, this isn’t always a comfortable ride but is a rewarding one. One half of Zombi, Steve Moore supplies the remix in two parts with his ‘remix’ making some sense of the madness by building layers of arpeggios over a steady kick drum, as the ‘Off-World’ version provides more of an ethereal landscape by gently playing with voices and pulsating rhythms over an epic feeling eight minutes. 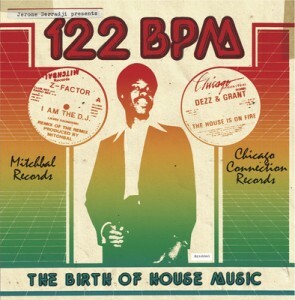 This three CD set from the early to late Eighties catalogues of Mitchbal Records and its subsidiary Chicago Connection Records is pretty much indispensible listening if you’re in any way interested in the history of Chicago House Music. Mitchbal Records was founded by Nemiah Mitchell Jr and released their first influential 12” single by Z Factor aka Vince Lawrence (before starting the infamous Trax Records) I Like to Do It in Fast Cars in 1983 (hear below). The selection also includes music from Mr Lee and Libra Libra, and joins together the diverse set of influences that went to make up what became known as House Music: from UK New Wave/ Synthpop and European/Italian dance all the way through to the soulful end of American Disco. The CD comes with invaluable extras such as a 28 page booklet on the labels’ history plus mix from Still Music’s Jerome Derradji, and also features one of Frankie Knuckles rarest remixes: Unfinished Business.